As I mentioned elsewhere, I am a passionate teacher of Judaism with demonstrated ability to educate, motivate and direct students while maintaining high interest and achievement. I am an articulate and captivating speaker, conveying the beauty and nobility of Judaism, its values and traditions, to those seeking deeper engagement with Jewish learning while also serving as an ambassador of Judaism to the broader community. Featured Presenter, "Created in the Image of God: Seeing the Sacred in Parenting a Special Needs Child," Yesodot, Newton, MA, 2010. Moderator, "The Ethics of War: Is There such a Thing?" Congregation Mishkan Tefila, Chestnut Hill, MA, 2009. Presenter, "History and Theology: The Formation of Conservative Judaism," Synagogue Council of Massachusetts, West Roxbury, MA, 2008. Guest Speaker, "Conservative Judaism: Is it Still Relevant in the 21st Century?" and "The Covenant of Abraham: Boys only or Girls too?" 62nd Annual FJMC Laymen's Institute, Palmer, MA, 2008. Keynote Speaker, "Wedding God and the Jewish People: A Metaphor for Understanding Shavuot," New England Region of the Jewish Federation of Men's Clubs' Laymen's Institute Kickoff Dinner, Newton Centre, MA, 2008. Keynote Speaker, "JTS: Years of Learning, Years of Growth," CMT Torah Fund Luncheon, Chestnut Hill, MA, 2007. Guest Percussionist, "I was Glad!" Rosenshine-Bernstein Concert, featuring Cantor Aryeh Finklestein, Meredith Greenberg, Lauren Phillips and Jinny Sagorin, Chestnut Hill, MA 2007. Moderator, "Anti-Semitism on College Campuses," CMT Israel Affairs Committee, Chestnut Hill, MA, 2007. Presenter, "Issues in Autism," COSAC 25th Annual Conference, Atlantic City, NJ, 2007. Guest Speaker, "Revelation and Denomination," Bergen County Alumni Association of the Florence Melton Adult Mini-school of Hebrew University, Washington Township, NJ, 2007. Presenter, "Issues in Autism," COSAC 24th Annual Conference, Atlantic City, NJ, 2006. Panelist, "Autism and Advocacy," Fordham University, New York, NY, 2006. Scholar-in-Residence, "Hiking the Haggadah," YJCC of Washington Twp, Washington Township, NJ, 2006. Panelist, "Eli Wiesel's Night and Judeo-Christian Responses to the Holocaust," St. Luke's Episcopal Church, Haworth, NJ, 2006. Presenter, "Issues in Autism," COSAC 23rd Annual Conference, Atlantic City, NJ, 2005. Scholar-in-Residence, "Jewish Medical Ethics: The End of Life," JCC on the Palisades, Tenafly, NJ, 2002. Political Advocate, "Mission to Trenton," UJA-NNJ, Trenton, NJ, 2001. Instructor, "Living Life by Facing Death," Bergen County Jewish Learning Project, Washington Township, NJ, 2000. Scholar-in-Residence, "What Kind of Afterlife Should Jews Believe In?" 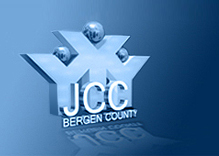 JCC on the Palisades, Tenafly, NJ, 2000. Instructor, "All in the Family: Relationships and Conflicts in the Midrash," Bergen County Jewish Learning Project, Washington Township, NJ, 1999. Panelist, "Selecting a Synagogue," JCC on the Palisades, Tenafly, NJ, 1998. Scholar-in-Residence, "Rituals and Faith Practices in Judaism," First Presbyterian Church of Englewood, Englewood, NJ, 1998. Lecturer, "Jewish Roots of Christianity," St. Laurence Anglican Church, Calgary, Alberta, Canada 1996. Scholar-in-Residence, "Getting to Know You: Judaism and Jewish Traditions," Alliance Church, Calgary, Alberta, Canada, 1995. Guest Lecturer, "The Faith of our Neighbours: Judaism," Department of Education, Tabor, Alberta, Canada, 1993-1996.